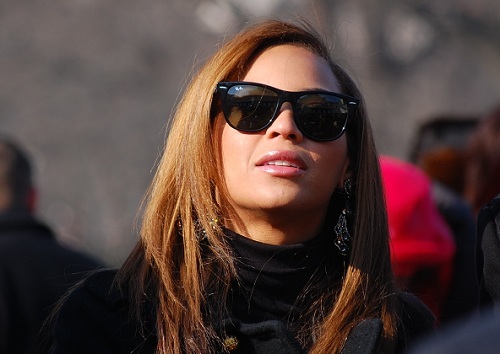 Beyonce is having a big year, and has been talking a lot about her family of late. Her documentary “Life Is But A Dream,” featured the superstar gushing over her baby daughter, lusting over her husband and acknowledging how hard it was firing her father, Matthew Knowles. But its that personal relationship with Matthew that seems to need some patching up. according to STAR magazine, Alex Wright, the mother of a baby boy fathered by Daddy Knowles during an extramarital affair, claims that Bey refuses to meet her little brother and that Matthew isn’t spending much time with the kid, either. âWe had an 18 month relationship. We were in love and even lived together,â Wright says. âBut four months into my pregnancy, he decided he couldnât do it â and since our sonâs birth, he has tried to deny [their son] Nixon full child support. This isnât about the money. Itâs about accountability, education and providing Nixon a secure life.